Bethel Missionary Baptist Church hosted the 28th Annual Dr. Martin Luther King Jr. Community Commemorative Service Sunday, January 17, 2016 in Wappingers Falls, NY. 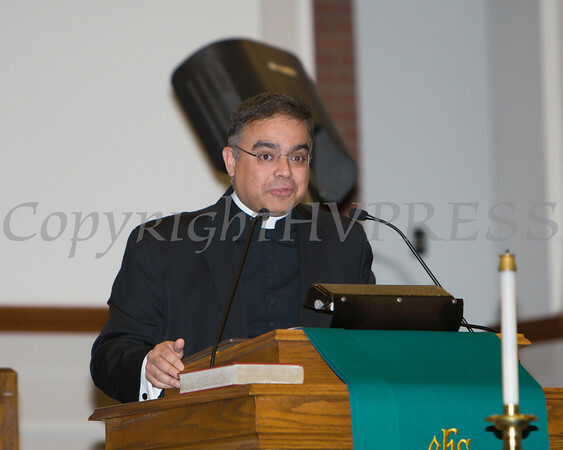 Father James Cruz of St. Mary's Church, Our Lady of the Falls was the guest speaker for the Bethel Missionary Baptist Church hosted 28th Annual Dr. Martin Luther King Jr. Community Commemorative Service Sunday, January 17, 2016 in Wappingers Falls, NY. Hudson Valley Press/CHUCK STEWART, JR.